Dallas Sherringham finds the Conflict Islands have suddenly shot to prominence as an exciting new cruise destination for Australians looking for a sea change. 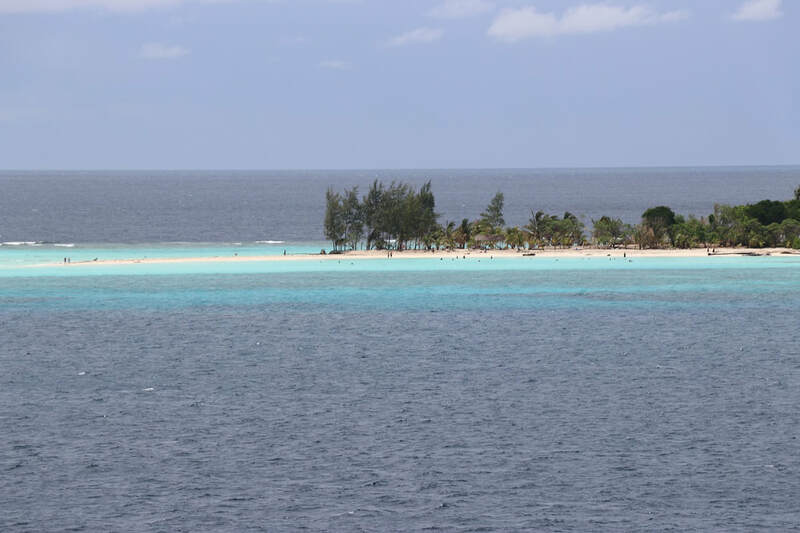 For decades, Aussie cruise fans have enjoyed the chance to go to favourite ports of call around the South Pacific like Mystery Island and the Isle of Pines. 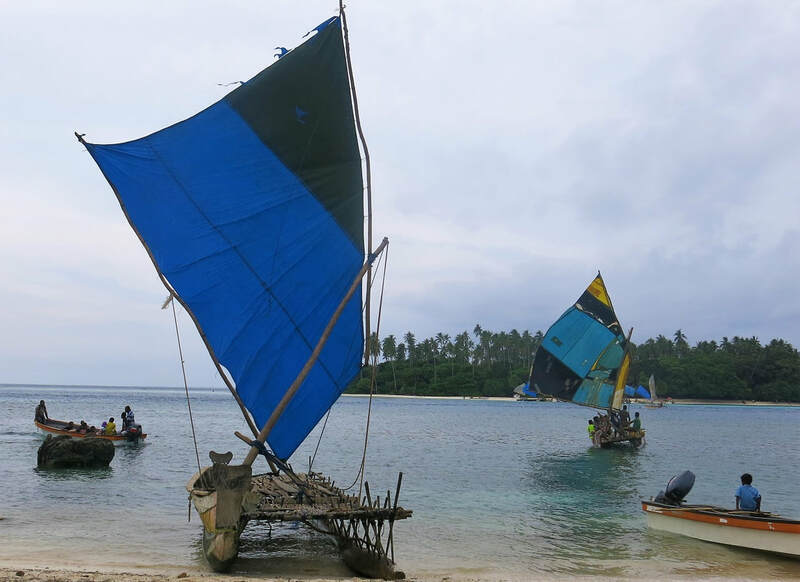 However, for passengers who have been to those places many times, the emergence of Papua New Guinea and in particular the beautiful Trobriand group, the stunning region is a dream come true. Now, in order to develop a new destination and make it “must see”, P&O had to find a unique place it could use as a marketing magnet and develop a long term strategy. 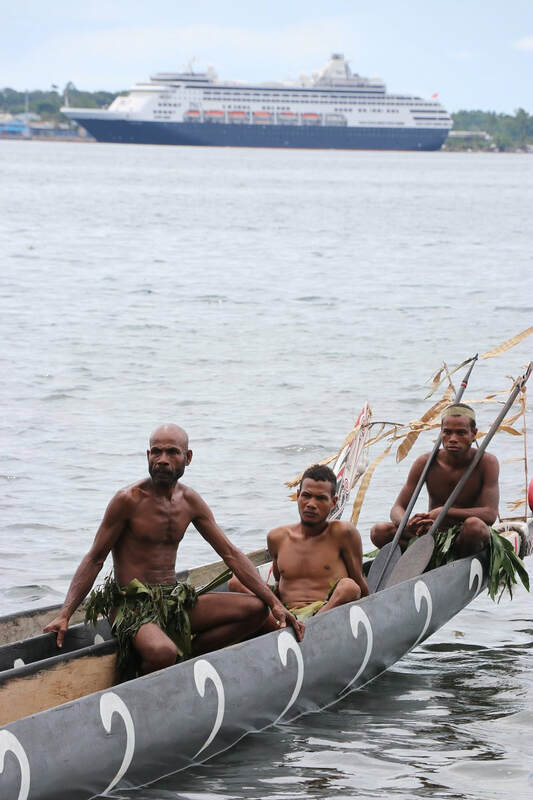 Enter business guru Ian Gowrie Smith who happened to own the 21 islands and a magnificent lagoon that make up the Conflict group, which is adjacent to the Trobriand group. He was looking for a partner to help promote his personal paradise as a tourist destination and a meeting was arranged with P&O. But it wasn’t just a simple case of anchoring offshore and heading for the beach in tenders. The investment included power, a wharf that could withstand a cyclone, watercraft, storage and shelters. Apart from the occasional visit by a fishing boat, the coral reefs and waterways are much the same as they have been for a million years or so. The commitment by both parties has paid off big time with the cruise passengers’ expectations fully met by a destination like no other. I recently cruised to the Trobriands and Conflict Islands on P&O’s Pacific Aria out of Brisbane. The Conflict Islands were our final destination on the 15 day adventure, but they proved to be s a stunning finale. We approached the island group’s main lagoon on a sparkling tropical morning with the blue water given an extra dimension by the shimmering sand underneath. The picturesque group surrounds the central lagoon which features one of the world’s most biodiverse reef systems. 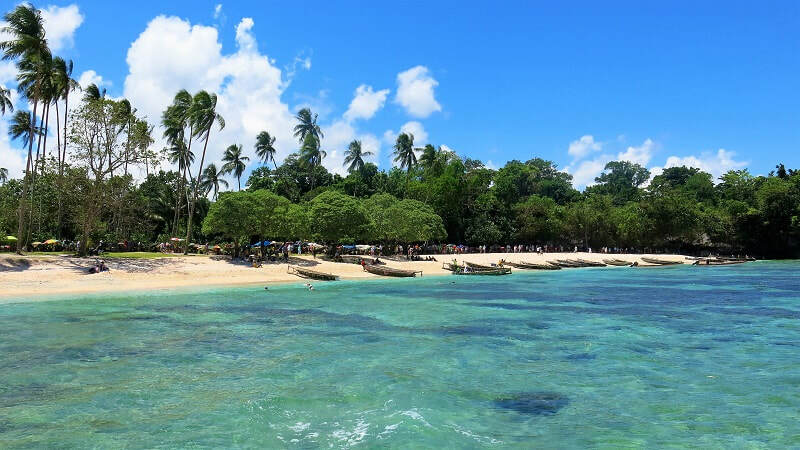 In the distance was Panasesa Island with rarely visited beaches and shaded walkways that would soon be teeming with passengers going about the business of tropical escape. This was the highlight and climax of our extensive cruise aboard the friendly, modern Pacific Aria through New Guinea and the Coral Sea out of the Queensland capital. We had visited Alatoa in Milne Bay, Wewak on the North West coast and volcano ravaged Rabaul on New Britain, but this was not paradise. They were a glimpse into the quaint town life in New Guinea and a poignant reminder of the dark days of World War Two. But we were now looking for untouched places, islands like Mystery Island where you could quite happily spend a year or two escaping the rat race. Pacific Aria provided the answer, heading south again, cruising through the narrow opening of a collapsed volcanic caldera at Vitu Island which caused a 20m tsunami in the 19th century. The rainforest inside the flooded canyon was so close to the ship that you could almost reach out and touch it. Then it was on to the Trobriands, a truly untouched world of beautiful tropical beaches, friendly locals and pristine reefs, where the weather averages 25 degrees all year round. First up was Kiriwina, largest of Trobriands and an island covered in fragile rainforest. Until P&O started cruising there a handful of years ago, Kiriwina had seen few tourists under its shady trees. Our final day ashore on the Conflict Islands’ cruise HQ on a coral quay provided the perfect end to a great holiday. 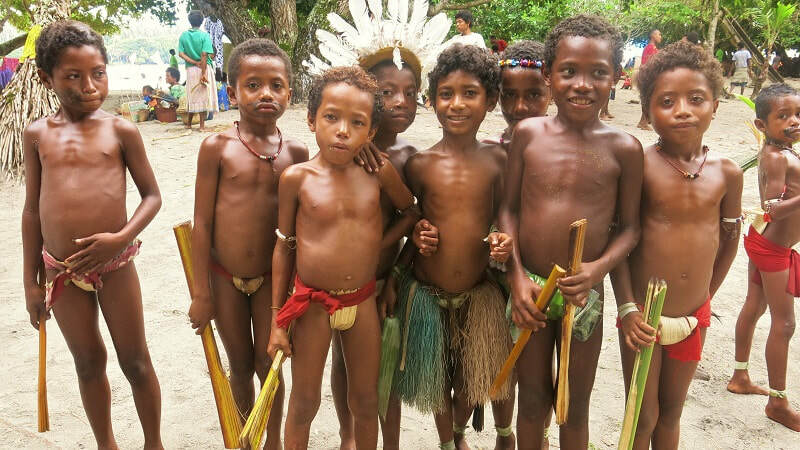 P&O Cruises Australia is offering six dedicated cruises to Papua New Guinea in its latest program. One of the highlights is a new 11-night round-trip voyage to remote Conflict Islands. The exclusive itinerary on board Pacific Aria departs Sydney Harbor mid-November 2019 and calls at the Trobriands. The latest program sees five 10-night New Guinea Island Encounter cruises departing Brisbane with an option for families to take advantage of the two Papua New Guinea cruises taking place during the school holidays. Fares start from $1139 per person quad share departing Brisbane on September 19, 2019. P&O Cruises President Sture Myrmell said the new program offered an exciting selection of unique cruises to Papua New Guinea. For more information visit www.pocruises.com.au, call 13 24 94 or see a licensed travel agent.